Buy 30 or more for $16.62 each. This audiobook is a remarkable resource. 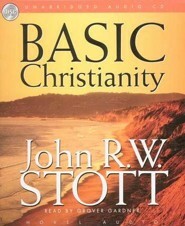 In Basic Christianity John Stott clearly explains the fundamental claims of the Christian faith and explores how these beliefs impact the lives of believers. This volume is perfect for seekers who are desperate to know whether Christianity makes sense and believers who long for a deeper understanding of Christian belief. This resource deserves a place on every disciple's shelf. Unabridged. Read by Grover Gardner. 4 Hours, 45 minutes. 4 CDs. 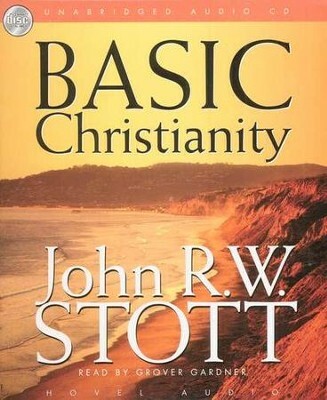 In this book, John Stott embarks on a compelling course of study that first defends the fundamental claims of Christianity and then defines the proper outworkings of these basic beliefs in the daily lives of believers. Here is a sound, sensible guide for those who are seeking an intellectually satisfying presentation of the Christian faith. 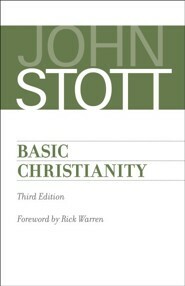 // John Stott is known world-wide as a preacher, evangelist and communicator of Scripture. His books have sold millions of copies around the world and in dozens of languages. He is Rector Emeritus of All Souls' Church, Langham Place, London, and founder of the London Institute for Contemporary Christianity. He was named one of The 25 Most Influential Evangelicals in America. 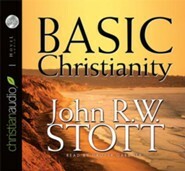 I'm the author/artist and I want to review Basic Christianity - audiobook on CD.